$3,999,900 - Prominently set on a professionally landscaped corner lot in a premier Chestnut Hill neighborhood, within the Heath School district, this spectacular 2016 residence offers beautifully appointed exterior and interior finishes, craftsmanship detailing, and a floor plan designed for today’s lifestyle with both formal and informal areas. There are ten rooms, six bedrooms, and five full and two half bathrooms. The state-of-the-art kitchen opens to a spacious family room with a fireplace. The many windows illuminate the interior and capture the views of the grounds. Outstanding amenities include five zones of heat and air-conditioning, two laundry rooms, two gas fireplaces, custom woodwork, high-end fixtures and hardware, and a large mudroom with direct-entry to the oversized two-car garage. The beautiful yard is expansive and provides an exceptional setting with natural stone walls and patios. More information. 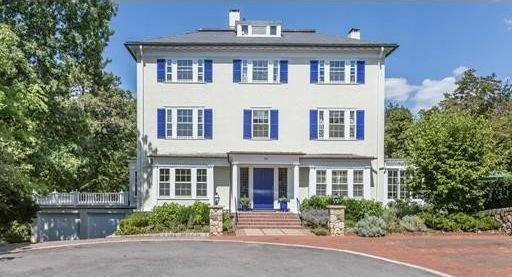 $4,195,000 - A beautiful circa 1902 Neoclassical residence with box/bay/stained glass windows, French doors and high ceilings that bring in abundant natural light. Spacious and graceful formal rooms, five fireplaces, crown moldings, exposed beams, pocket doors, and quarter-sawn oak and douglas fir floors convey a feeling of true elegance. The eighteen-room home is also ideal for entertaining with warmly welcoming gathering spaces, an eat-in kitchen for the serious cook, five plus bedrooms, five full baths, two half baths, and guest/au pair quarters with separate entry. Located close to Boston, on a level three-quarter-acre property that’s wonderfully sited on a hilltop at the end of a private road. More information. 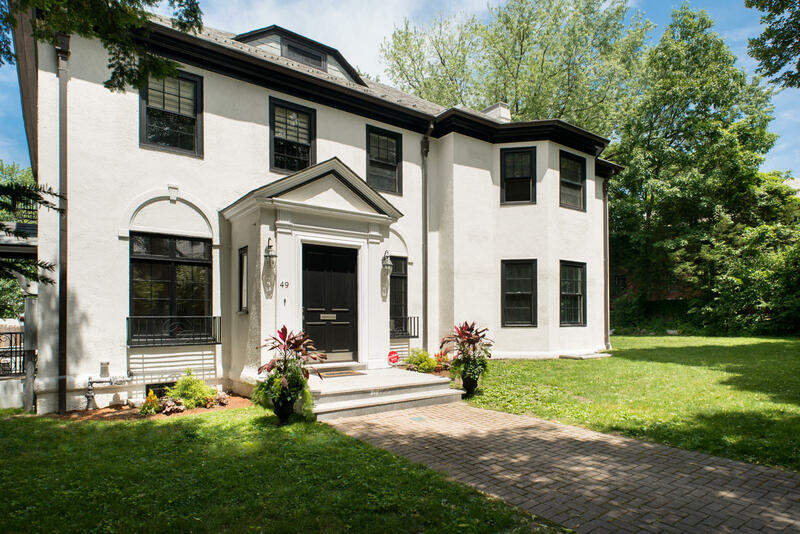 $4,200,000 - Graciously adapted for modern living, this striking 5-bedroom, 6½-bath home is well located in Brookline’s Cottage Farm neighborhood, a National Historic District, less than 2 miles from Boston’s Back Bay. Originally built as part of the Greenough family compound, the residence underwent an extensive architect renovation and expansion from 2000 to 2005 and includes radiant-heated floors in most rooms. A marble reception hall introduces the beautifully appointed living areas. An elegant entertaining space, the large light-filled living room features a fireplace and opens out to the lawns by the inviting tiered terraces. Open to the family room, the chef’s kitchen has granite counters and stainless steel appliances. The second floor includes a sun room, library/den, and spacious master suite offering a wardrobe room and marble bath. On 1/2± acre of level lawns, the property is served by gated entries to the front and the back, accessing the heated 3-bay garage and parking for 5+ cars. More information. $4,200,000 - This new construction colonial-style home boasts unmatched quality and architectural detail with an impressive open floor plan. The first floor offers a formal sitting room with wood-burning fireplace, a spacious family room with gas-burning fireplace, elegant guest suite/office, and a custom chef’s kitchen with top-of-the-line appliances by Wolf, Sub-Zero and Miele, a 8’ calcutta marble island and a beautiful breakfast nook, encased by glass. The second floor is highlighted by the master suite, with gas fireplace, two walk-in closets, and bath with soaking tub and glass-enclosed steam shower. Three bedrooms, each with its own en-suite bath, complete the upper level. The lower level includes an additional bedroom, full bath and family room with sunken patio. A beautifully landscaped yard has a private patio located directly off the main level, making it an ideal venue for entertaining. With a heated garage, as well as an additional garage, perfect for the car enthusiast. More information. 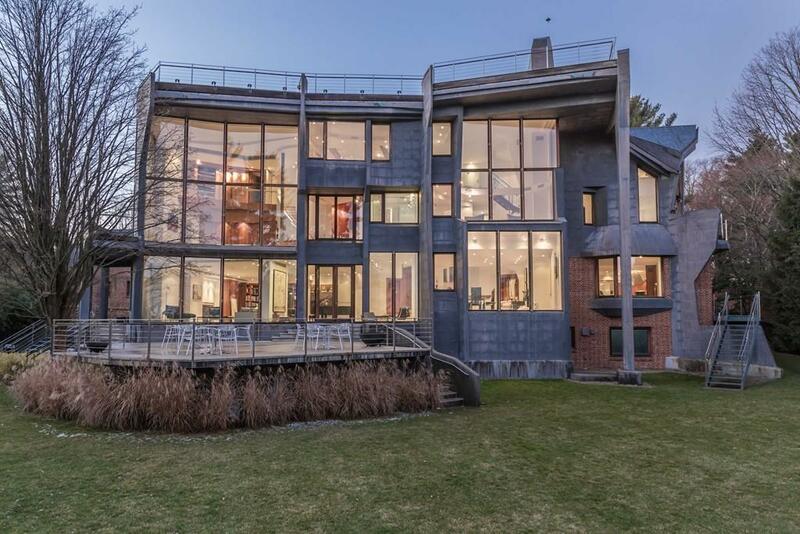 $4,280,000 - Overlooking conservation land this six bedroom contemporary home has been masterfully constructed w/extreme attention to achieve perfection at every turn. Dramatic two story foyer opens to an intelligently designed floorplan perfect for today's lifestyle. A culinary masterpiece, the gourmet kitchen feat premium appliances incl full size Sub zero refrigerator, freezer & refrigerator drawers, Wolf range & double ovens, custom cabinetry, oversized center island & wall mounted television opening to a great room w/custom built-ins, wet bar & wine refrigerator. Spacious formal dining room w/butler's pantry, powder room and mud room. Spectacular fireplaced master suite features gorgeous bath, 2 individual water closets, over sized walk-in closet, three additional bedrooms, two baths & laundry room replete with two washers & dryers. Two additional bedrooms & full bath on 3rd floor. Professional outdoor kitchen & oversized heated 3 car garage. No detail has been overlooked! More information. 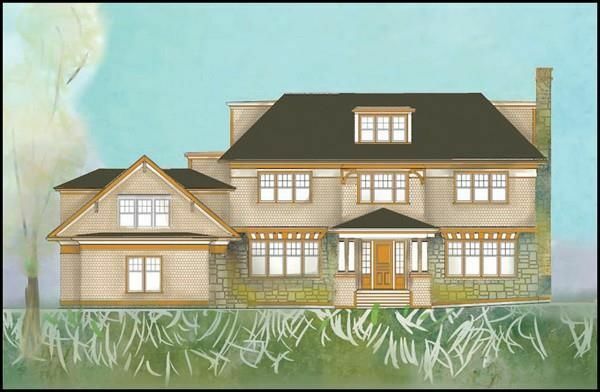 $4,595,000 - Spectacular new construction located in the Historic district of Chestnut Hill, on over half an acre lot. Designed by renowned firm Jan Gleysteen Architects, with high-end modern finishes and an opportunity to customize paint colors. A covered porch leads into a two-story entry hall flanked on either side by a living and dining room. The back of the house is an open floor plan with a substantial eat-in-kitchen with a great island/breakfast bar, and a spacious dining room through a butler's pantry which opens to the breakfast room and a family room with French doors to the yard. The 1st level also includes an office, powder room, secondary entrance and mudroom with a ½ bathroom, direct-entry to a two car garage and a back stairway to a private guest suite. On the 2nd level, the master suite offers a large walk-in closet and a beautiful en suite bathroom. There are three more en suit bedrooms with bathrooms. The finished 3rd-level has a studio, an additional bedroom and bathroom. More information. 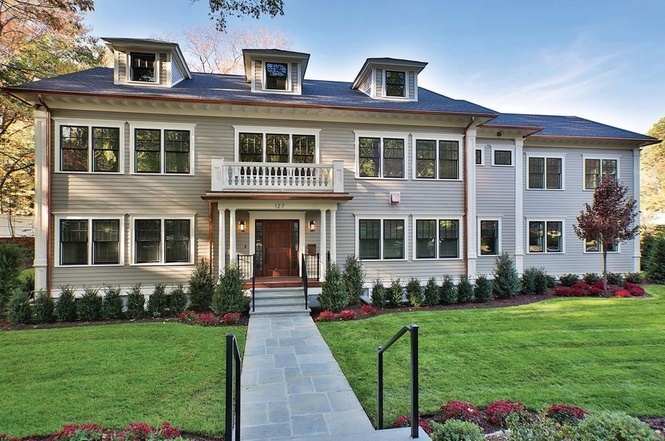 $5,380,000 - Superb residence constructed by award winning Pioneer Construction on one of the most desirable streets in Chestnut Hill. This 6 bedroom, 5-1/2 bath home is exquisitely crafted and superbly scaled with luxurious appointments and millwork throughout. Optimized for today's modern living, the first floor features a beautiful two story entry foyer, gracious living room with custom built ins and dining room complete with French doors and butler's pantry, chef's grade kitchen with breakfast room, oversized waterfall island, home office and guest bedroom suite with full bath. The second floor features a gorgeous fireplaced master bedroom suite w/two dressing rooms, spa like marble master bath with shower, free standing tub, and his and her water closets, four additional bedrooms and three full baths. Three car garage and oversized mudroom to accommodate coats, boots and more. Set on beautifully landscaped grounds with Bluestone terrace and stone walls which create the perfect ambiance! More information. $6,950,000 - New England Shingle Style Gambrel on just under an acre abutting The Country Club. This 6400± square foot home was thoughtfully designed by LDA Architects and masterfully built by JP Development using the finest materials. Set back from Clyde Street on a gentle rise, the house was designed and sited to make the most of the large level lot. The principal rooms benefit from views of the expansive rear lawn and both the kitchen and family room have direct access via French doors to the patio complete with an outdoor kitchen. Many rooms enjoy pastoral views and the open space afforded by The Country Club, including the abutting 15th fairway. The home features five bedrooms, five full baths and one half-bath. This new construction offers an abundance of modern amenities, including an elevator, air purification system, three-car heated garage, a Kohler generator, heated walkways and a heated driveway. This is the best in design and new construction. More information. $12,800,000 - 5 Leicester defines luxurious living in a premier, private Brookline location.The grand foyer with its high ceilings, sets the tone for this magnificent home & leads into a desirable open concept floor plan. The centerpiece of the home is the architecturally stunning, floating main staircase which is a piece of art itself. All the rooms in this exquisite estate are drenched in light, with views of the spectacular landscaped grounds thanks to the wall of windows that covers the rear of the home. The elegant dining room seats over 20 guests & there is a fabulous 3rd fl entertainment room. The sprawling master showcases 20ft windows, a balcony, vast en-suite bath/dressing room & its own loft w/ private office. 7-BRs in total, with features that incl personal staircases to private lofts, en-suite baths & direct-access balconies. Notable features include: elevator, 5 car garage w/ turntable, pool/pool house, roof deck, wine cellar, one-touch lighting system, heated driveway. A must see! More information. $90,000,000 - Born from the desire for ultimate privacy with city accessibility, 14± acres of untamed scrub and ledge were assembled into a single property, entirely reclaimed from the wild and transformed into a breathtaking tapestry of rolling lawns, ponds, sculpted rock outcrops and a horticultural encyclopedia of specimen plantings. Five miles from central Boston, this emerald island rises between the surrounding Brookline Country Club and Putterham Meadows Golf Course. Turf walkways and pathways meander through this extraordinary landscape and the winding driveway provides a multi-step reveal of this unique estate and its residence. The curving façade of Indiana limestone creates a home of singular distinction with 26,000sf of luxurious living space. Every exterior and interior stone was individually hand drawn ensuring a flawless finish. The appearance of simplicity is the ultimate challenge, achieved by creative architecture, sophisticated engineering and generations of the finest craftsmen. More information.